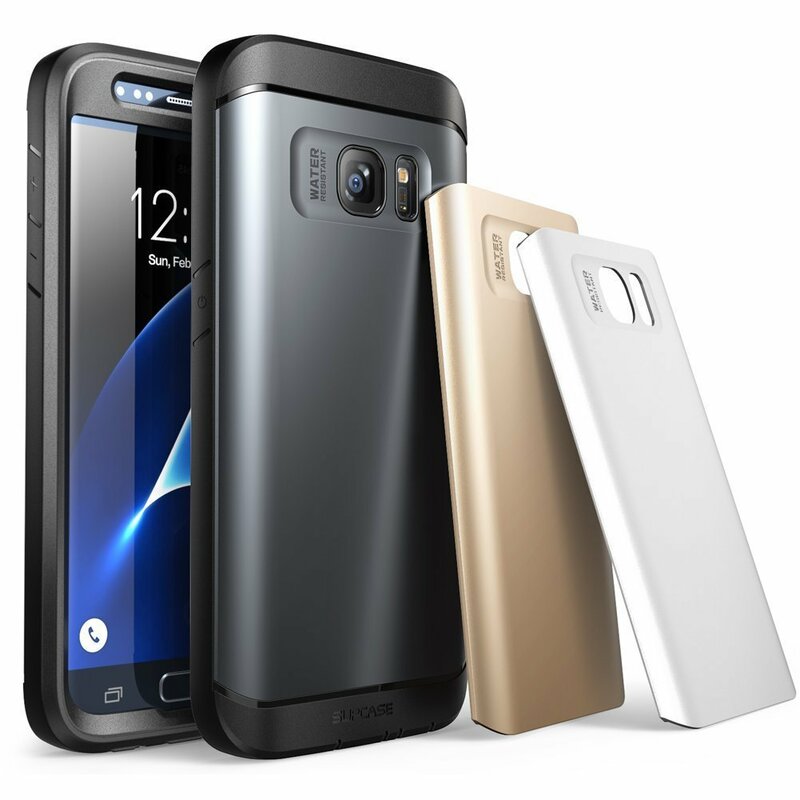 Home › Electronics › Galaxy S7 Case Supcase Water Resistant Full-Body Rugged Case With Built-In Sc..
Galaxy S7 Case Supcase Water Resistant Full-Body Rugged Case With Built-In Sc..
SUPCASE Water Resistant Case for Samsung Galaxy S7 2016 release redefinesrugged protection with this shock proof, dust proof, impact absorbing, andwater resistant dual layer case. The inner core cushions and surrounds yourdevice while the polycarbonate shell fortifies the boundaries. With a largeopening to the charging port, all buttons and functions are easy to use.Switch out the back plate with one of the three included colors for a wholenew look. An all-in-one case with little added weight.